Abstract: Many different aspects should be taken into account when modeling real world domains: uncertainty, different closure assumptions, relationships, etc. The combination of logic and probability can be useful for modeling such domains, which are characterized by complex and uncertain relationships between entities. This tutorial will briefly introduce probabilistic logic programming and probabilistic description logic. Then it will present an approach for combining them, in order to admit both open and closed world assumption in uncertain, relational scenarios. Abstract: Ontology-based data access (OBDA) is a by now well-established paradigm in which users are provided access to a data source through a conceptual view that abstracts away details about how the data is organized and stored. This conceptual view is realized through an ontology that is connected to the data source through declarative mappings. In the last decade, OBDA has been studied extensively in the prominent case where the data source being queried is a standard relational database. Advanced tools are available that support query processing in OBDA systems, and OBDA has been applied in many real-world scenarios in industry and in public administrations. However, the need has emerged for extending OBDA to novel types of datasources. In this tutorial, we provide a general overview of the OBDA paradigm and of the technologies supporting it. We then deal with two extensions of the basic paradigm, namely temporal data, and tree-structured data. We discuss the challenges that these extensions pose for OBDA, and we present recent developments on how to incorporate such novel forms of data into state-of-the-art OBDA systems. The techniques we present are currently being incorporated into the state-of-the-art OBDA system Ontop, developed at the Free University of Bozen-Bolzano. 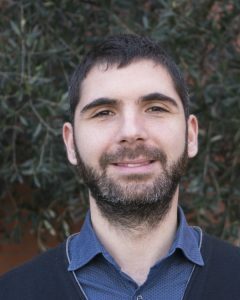 Bio: Diego Calvanese is a full professor at the Research Centre for Knowledge and Data (KRDB) of the Free University of Bozen-Bolzano, where he teaches courses on knowledge bases and databases, ontologies, theory of computing, and formal languages. 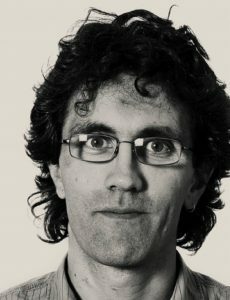 His research interests include formalisms for knowledge representation and reasoning, ontology based data acces and integration, description logics, Semantic Web, and data-aware process verification. He is the author of around 350 refereed publications, with more than 28000 citations and an h-index of 67, according to Google Scholar. He has served in over 100 program committee roles for international events, and he is an associate editor of Artificial Intelligence, JAIR, and a member of the editorial board of the Journal of Automated Reasoning. In 2012-2013 he has been a visiting researcher at the Technical University of Vienna as Pauli Fellow of the “Wolfgang Pauli Institute”. He has been nominated Fellow of the European Association for Artificial Intelligence (EurAI) in 2015.